Very often on this site, we are privileged to see a carefully curated collection. We come across owners who have finally acquired their dream car, and we see this love of iron, steel, and fire bridge the generations. But what about a car that transcends automotive enthusiasm, that needs no translation from Gearhead kanji? This particular 1977 Datsun-Nissan 280Z is a single-owner car, currently daily driven, belonging to a gent who is not now and never was into cars. It doesn’t attend car shows. It doesn’t get pampered and spoiled. This Z belongs to Larry Lazzari and no-one else; it’s a special bond, and just the kind of thing Yutaka Katayama—“Mr. K”—would have smiled to see. The human brain is pretty good at shape recognition—it’s the reason you find yourself reflexively dabbing the brakes every time a Mercury Grand Marquis hoves into view, even before your conscious points out that it’s not a highway patrol Crown Vic. The Zs proportions are classic sporting car, with lines that ape everything from the Ferrari 250 GTO to the Jaguar XKE coupe. 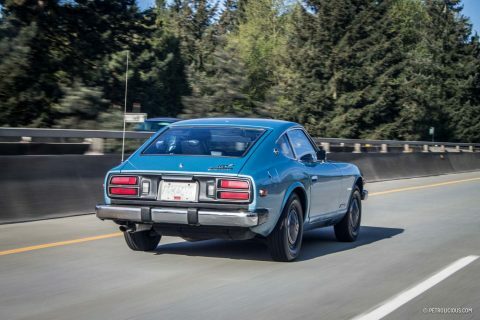 Naturally, the Z wouldn’t be confused with either of those rare and expensive machines, but when Lazzari’s Bimini-blue 280Z ripples along the glass-lined streets of Vancouver, ordinary passers-by stop and stare. Even with those big 1970s bumpers, it’s a beautiful silhouette, making the hunching, snarling modern aggression surrounding it look like a pack of humpy hyenas. There is nothing charming about mechanical failure. Perhaps if a car requires a little arcane knowledge to function properly, then that might increase the bond between man and machine—but a Z seeks to stir your soul in other ways. Lazzari doesn’t bother with an alternative commuter car, he simply cranks up the Z’s 2.8-litre straight-six every morning and heads off to work. He’s been doing the same thing since taking delivery of the Z in 1976, as a company car. In the interim there was a theft-and-recovery, and a lengthy restoration, but the intention was never to recreate a garage queen talisman of the past. 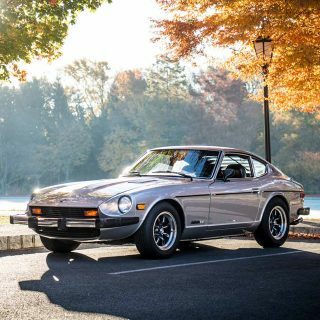 Lazzari owns this Z because he wants to drive it, he expects to be able to climb in and fire it up at any time – and he can. Any number of stories are told about Mr. K. and his happy exile from Japan to the sunshine state of California. 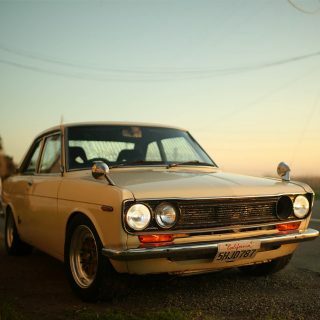 Datsun and Nissan couldn’t understand its maverick executive and his obsession with racing, so they sent him East to California. Here in the U.S., he became a rising sun. The Z became a beacon for the Japanese automotive industry, a light to show the way forward from homely little inexpensive and inefficient shoeboxes. 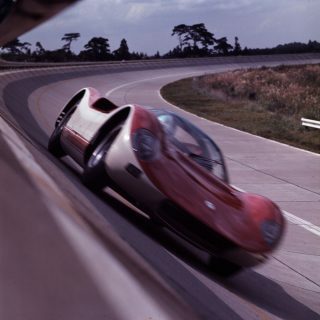 But it wasn’t just intended to be an icon; Katayama wanted to build a car that people could love, that would express the joy he felt in driving—every day of the year. Datsun’s support of racing teams like Bob Sharp and BRE gave the brand an early start in the U.S., and with the Z, they just ran with it. It would become a dominant force in SCCA racing in the ’70s, including memorable stints from drivers like Paul Newman and John Morton. 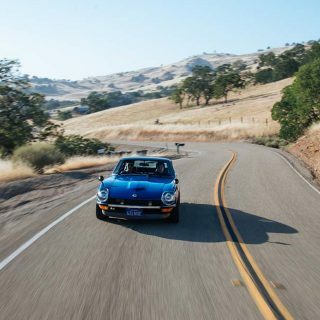 At the same time, the Z would do well in the gruelling endurance racing that Datsun started out with: a 240Z would take victory at the 1973 East Africa Safari Rally. Racing improved the breed, fixed the Z’s signature in the public imagination, and kick-started the import performance part industry in the U.S. as well. 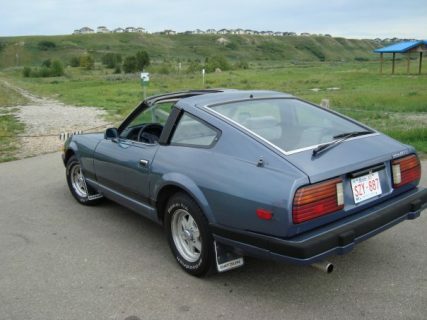 However, it’s worth noting that Lazzari’s Z is entirely original, right down to the hubcaps. Born in 1909, Mr. K. knew the connection ordinary people had between a horse and its rider, and he spoke of it often. He wasn’t a fan of the now-current 370Z—too heavy, too expensive—and called the Mazda MX-5 Miata the true spiritual ancestor of the original Z. While now co-opted by marketing and mentioned at every possible opportunity, the term jinba ittai is actually quite beautiful, and refers to the ability of a horse archer to guide his mount with the slightest pressure of his knees, an understanding and connection built up by long partnership. 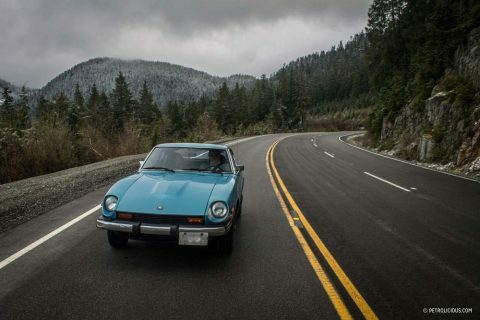 Lazzari’s 280Z fits this description perfectly. Four decades ago, he was lucky enough to find the right car, and smart enough not to let it go. Legendary? Surely. Iconic? Absolutely. 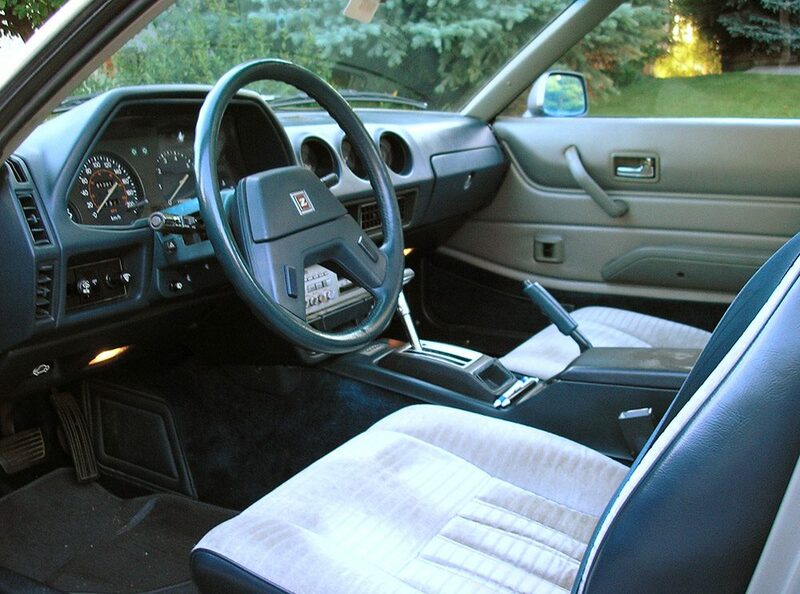 But don’t place his or any other Z on a pedestal—this is one sports car that does best as an everyday companion. I’m in Portland OR and guy at my office drives an orange 240Z with original wheels/hubcaps every day. Rain. Snow. Ice. Sun. It’s always in the same parking spot… waaaaayyyy out there (close to where I park my Mk6 GTI or my ’71 Volvo 1800E). I’ve always loved the Z. But what’s with the hideous ZX pictures tacked onto this article? And with an automatic, no less. Blech. Bought a new ’76 british racing green 280z and wrecked in a month. Bought another one after I got the insurance proceeds. I loved that car. 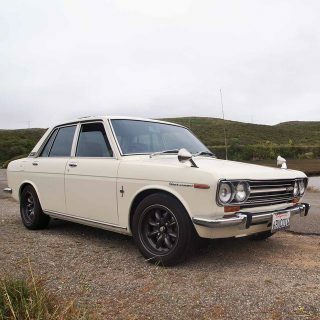 Sold that to get a 1969 Datsun 2000 roadster. SOld that to pay for the limos for my 1980 wedding. I still dream of those cars. Amazing he has been able to hang on to those hubcaps all this time. Most people put those in a box and get some wheels. Aftermarket wheels can also be had in sizes for which there are better tires improving handling. But if it’s just a car for transportation, what the heck, it’s his. Keep rolling the dice and hope you see the hubcap go by you when one of them decides to bail. Enjoy and hats off to the owner. Reason #6: The car does not require software to run. 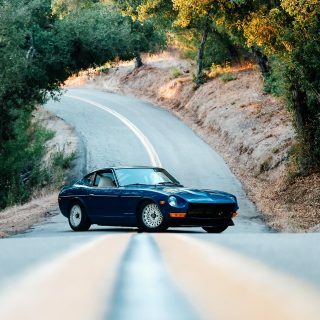 In reality other than the concern you might crash it which is not much of an excuse at all there is no reason not to use a 240/280Z as a daily driver . They’re built like tanks . Reliable as all get out . And about as much fun as one could legally hope for on public roads . But to reiterate D Gallo’s question . Which is which and what one is the bottom a photo of ? I have a 1978 280Z that I drive every day when I’m in California, where it resides at my parents’ house. The 280Z sometimes gets a bad rap compared to the 240Z, but I think the Bosch L-Jetronic fuel injection makes it just a little bit easier for daily use and the car maintains the 240’s classic lines and proportions. The only change I’ve made to mine is to get rid of the park bench bumpers! 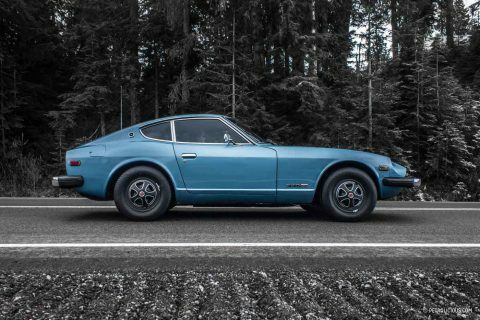 Always loved the 280z , had a 2 seater with a 4 speed briefly in the mid 80s and I always miss that one car (Black on Black, no a/c and 160mph speedo) . 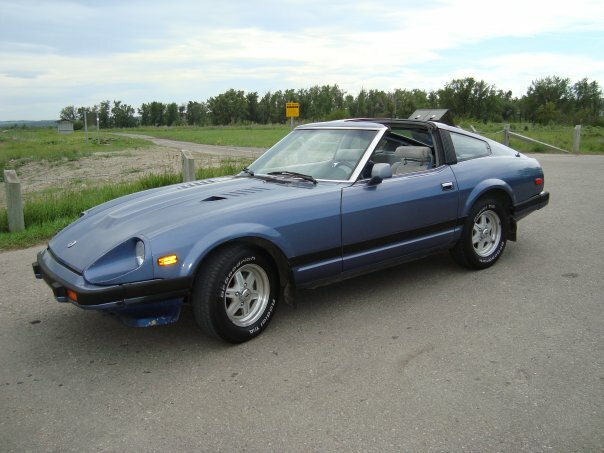 Have to ask, where is the 280ZX auto (bottom 3 pics) from ? that’s not the same car as the article?